Recommended by my foodie friend, Amanda Topper, I stopped into Brightwok after work a few weeks ago to see what the hype was all about. Walking through the loop and down the not-so-visited locations alongside Wabash Ave, I’ll admit, I was a little hesitant. However, when I left (with a huge bag of food in hand), I definitely didn’t expect to have experienced what I did. While waiting in line, two things that immediately caught my attention: the lighting and the clean, simple colors. Let me tell you, not only is lighting a HUGE plus for foodies like myself, but when I discovered that there was also free wifi, Brightwok definitely gained a ton of cool points in my book. 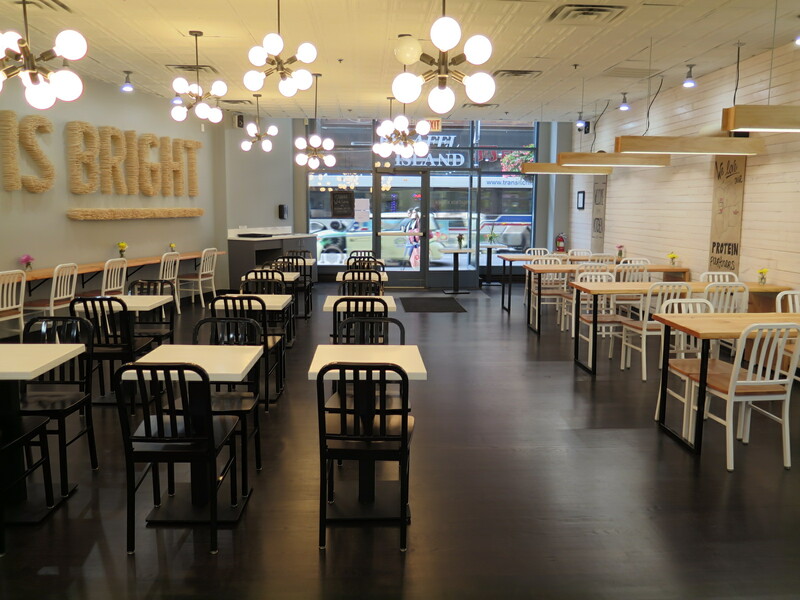 With a foundation built in “mind and heart,” Brightwok strives to deliver fresh and homemade meals to every customer that steps inside. 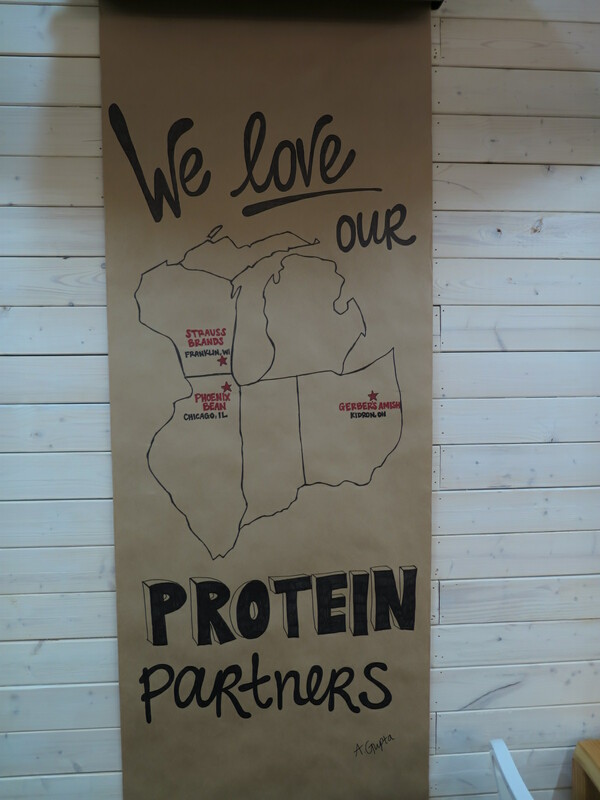 Sourcing its proteins from local farmers in Wisconsin, Indiana, and Illinois, you can sleep easy knowing that what you’re eating comes from fresh and local farms. Not to mention all of their proteins are “clean” – a.k.a. no growth hormones or other nasty chemicals that make you feel gross and heavy. 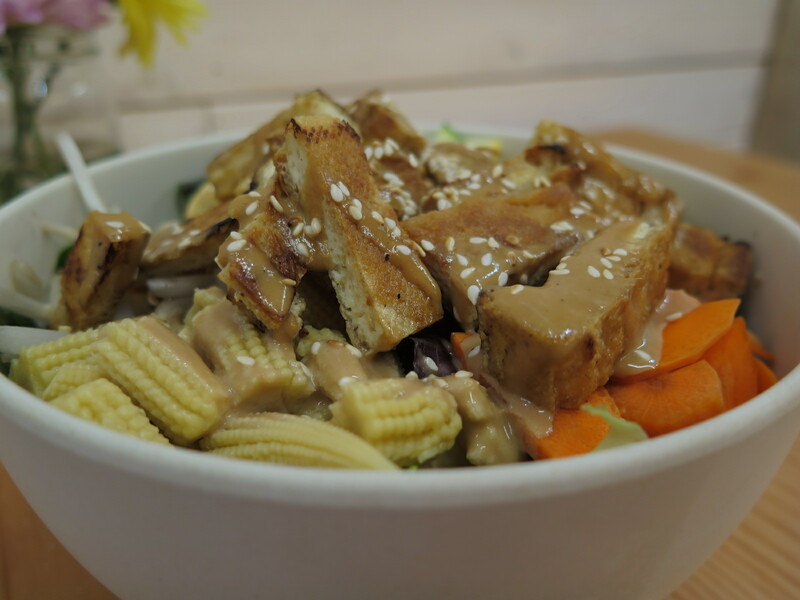 By dividing its menu into two – stir fries and salads, you really can’t go wrong. Featuring one of each, Chef Livengood’s (not joking, that’s his real name) favorites are the “Eat Right Stir Fry” made with Thai basil sauce, chicken, peppers, broccoli, carrots, onions, and brown rice plus the “Live Bright Salad,” topped with chicken, carrots, edamame, broccoli, and most importantly, Golden Cashew Miso Dressing. And if onions or broccoli aren’t your thing, don’t worry. 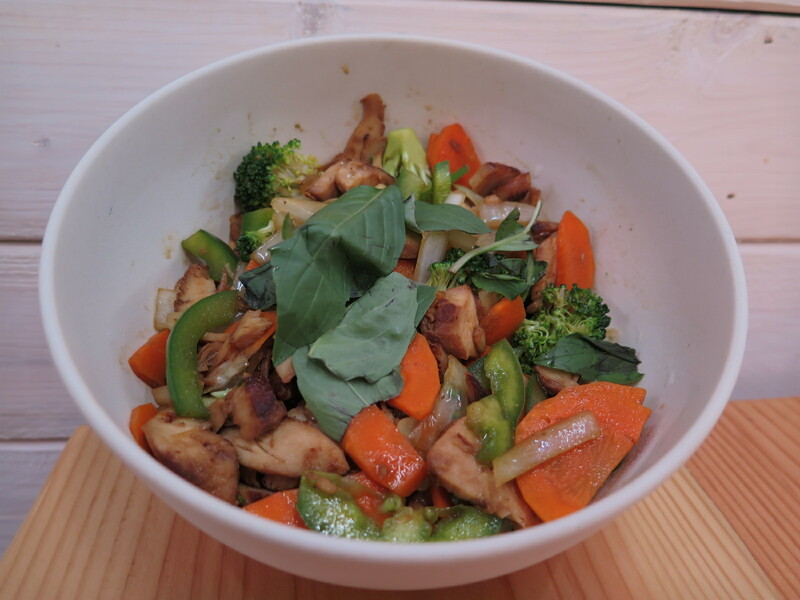 Both options act as a base and allow each customer to “make their own” form of a salad or stir fry. Before leaving the assembly line or out the door, don’t pass up an opportunity to grab the highly addictive banana chips. You might think, “I’ve had banana chips many times before, what makes them so addictive?” Its secret lies in the spice. 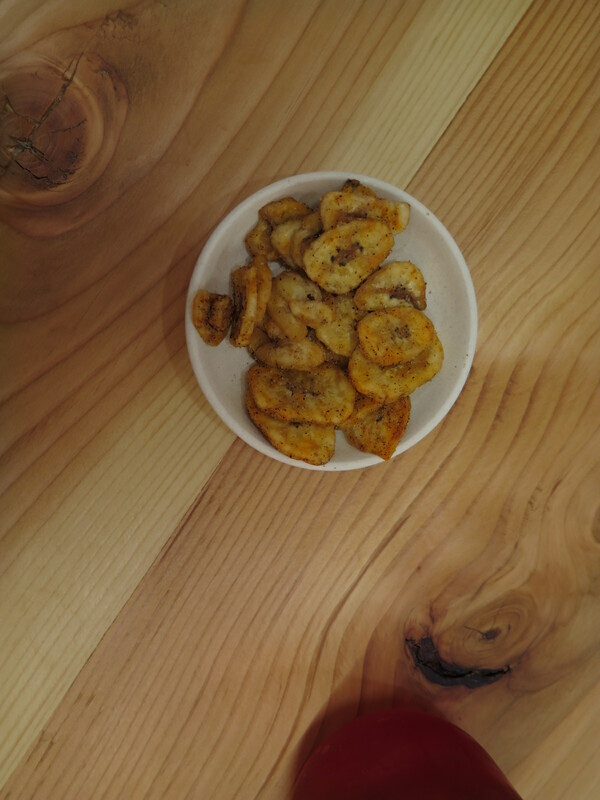 Tossed with Korean spices, these banana chips go from being normal to being spicy, tangy, and perfectly salty. I’m not ashamed to say I’ve finished an entire carry out box size in one sitting.